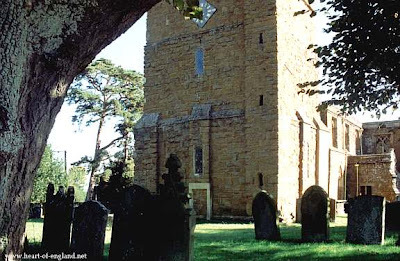 Ilmington lies in the far South of Warwickshire, 8 miles South of Stratford. The village lies just beneath Ilmington Downs (visible in the background of the photo), the Northern edge of the Cotswolds. 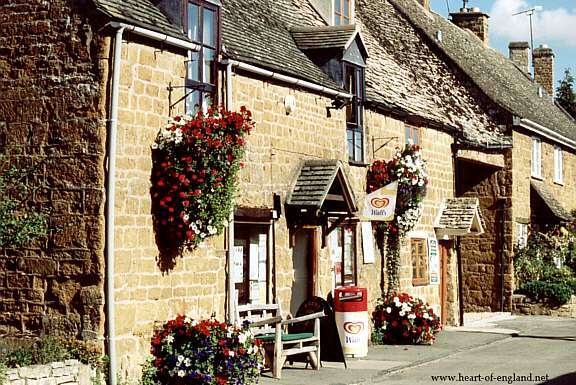 The houses are all built of a warm local Cotswolds limestone. 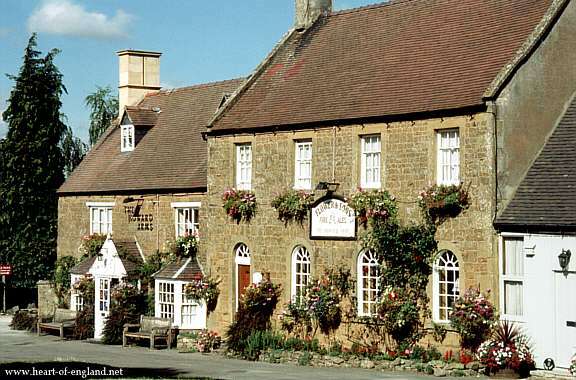 Ilmington is a large village, and has two village greens. Shown here is the larger, the Upper Green, triangular, with a mature tree as centre point. 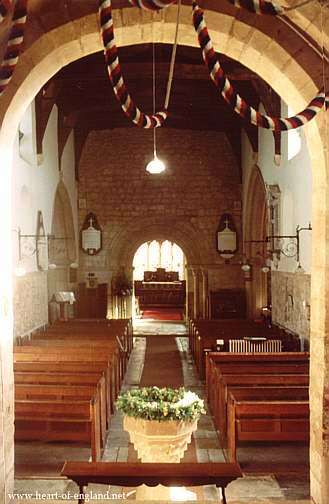 The parish church of St Mary the Virgin lies at the centre of the village, not off to one side, as in many villages. There are no roads to this church. It can only be reached by footpaths between the cottages. This photo was kindly supplied by Simon Hall. One of the treasures in the church is this embroidered Apple Map. 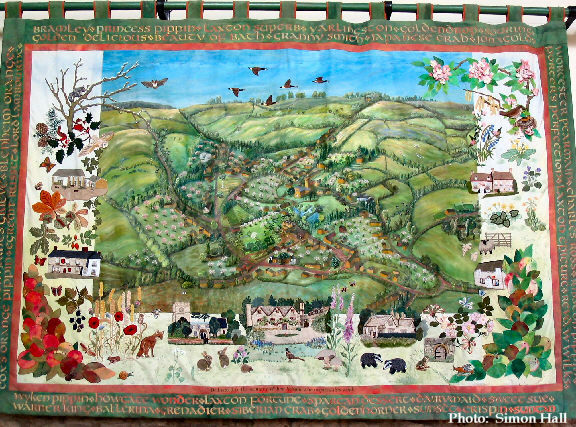 The Apple Map was idea of the late June Hobson, an artist and gardener, who lived in the village and inspired old and young alike (children from Ilmington Primary School) to embroider the map. The Apple pole was carved by villager David Greenwood. The village was renowned for the wonderful varieties of old apples in its orchards. Sadly very few orchards remain, but the names of all the varieties are painted around the tapestry, again by David Greenwood. The map is an exact copy of old maps which show where all the orchards were. The project came out of several successful Apple Days in the village. Many of today's houses are not on the tapestry as they weren't built at the time of the old map. This is one of the 2 village pubs, the Howard Arms, on the Lower Green. And this is the village shop and Post Office, also on the Lower Green. The highest point in Warwickshire is on Ilmington Downs. 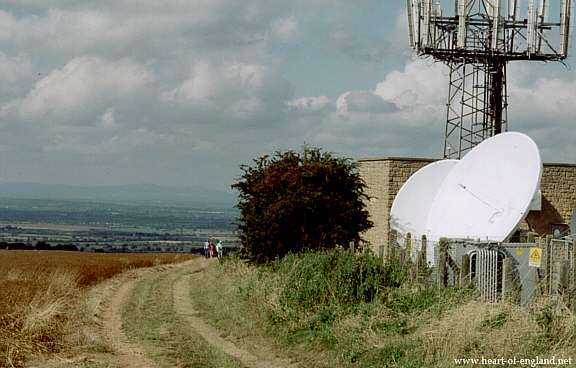 This picture is taken from the highest point on the downs, 858 feet, next to a communications relay station. There is an almost uninterrupted view here, around 360 degrees. 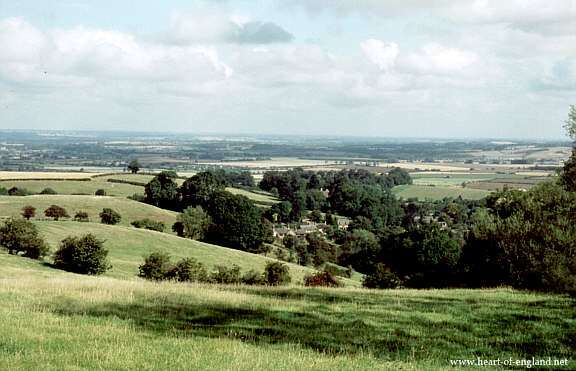 This photo shows part of the view looking South, towards the Cotswolds Hills. This photo shows a view looking North, in the direction of Warwick and Stratford. Most of Warwickshire can be seen in this picture. 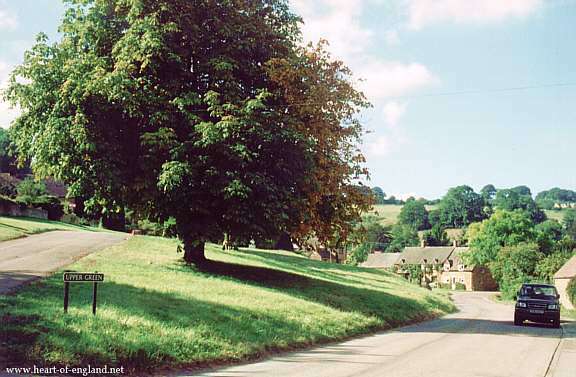 The houses visible in the foreground of the picture, at the foot of the hill, are in the village of Ilmington. 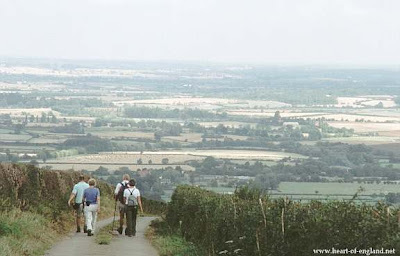 A view showing the tapestry of fields, in South Warwickshire, from a track leading steeply down from Ilmington Downs. The area is very popular with walkers.